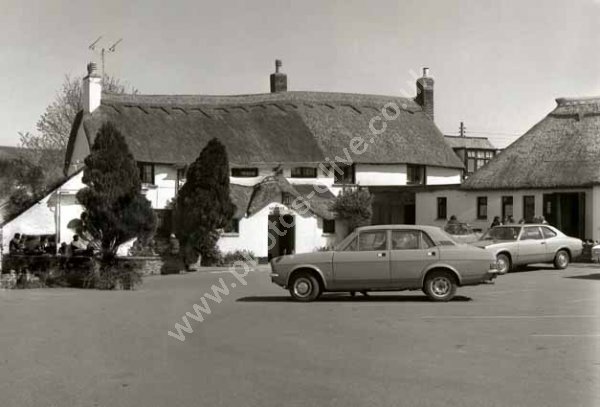 Photo taken around 1974 of The Williams Arms at Wrafton, near Braunton, near Barnstable in Devon, England. Contains old cars of the period and a thatched roof. Not visited or researched yet. For commercial use of this photo visit www.alamy.com and search for ER6K4C but for a one-off print please see below.